Guringai Yoga Shala offer Yoga and Meditation workshops for beginners to advanced. Our school is in Mona Vale on Sydney’s Northern beaches. Select your workshop from the list below and select a pass from the drop-down menu. Your details should appear automatically. Select a payment method, and click "Purchase". You're all set! Bathe your soul in soothing sound as we chant and sing sacred mantras, then lay down and experience deep rest as Jo’s beautiful voice and gentle hypnotic rhythms take you on a journey into healing peace. Stay behind for chai and snacks for a small donation. If you have been feeling depleted, desireless, or numb in your body, this is for you! This workshop will help you rekindle your pleasure and sensuality. As the warming weather breathes life back into the earth, we will practice with breath, movement, and clothed breast massage to reconnect with our glorious womanly bodies and their sensory capacities. Click here to read more about the workshop, and here to read more about Carol. Are you always busy? Constantly under pressure to work more, keep the house, maintain a wide social network and take responsibility for other people's needs? Feeling depleted, exhausted, stressed and burned out? If this sounds familiar, sign up to this workshop now! 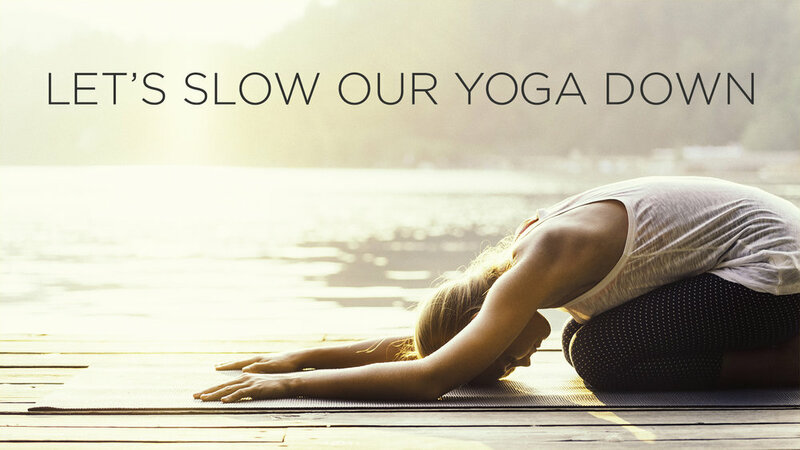 You'll be guided through a mindful Yin Yoga practice, where you will find deep rest and stores of internal energy you never knew were there. Celebrate the arrival of Spring with this delicious Masterclass, designed specifically for the season. Ideally suited to more advanced practitioners, Fabio will lead you through an asana sequence, cleverly tailored with pranayama and meditation. All of this to the backdrop of John's handpans! The Healing Sounds of Yoga is designed to restore you at a very deep level. Be bathed in the soothing sounds of Jo Kelly’s music, as you meditate, chant along or lay in savasana. Feel deeply relaxed as Jo’s beautiful voice and gentle hypnotic rhythms take you on a journey into deep peace. Jo's music will nourish you with the loving, healing powers of Vedic mantra, taking you on a musical journey to the sacred mountains of India. Have a sneak peak at Jo's website. Do you struggle to fall asleep or stay asleep? Maybe you wake often in the night, or wake tired every morning? If so, this workshop is for you. Claire will take you through a super-relaxing yoga sequence designed to help improve your sleep in the long-term, using techniques she has used to help her own sleeping problems. If you often find that life moves too fast, maybe it's time to slow it all down. 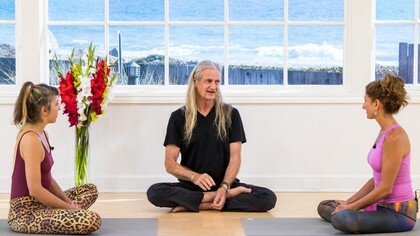 Join Fabio for a delicious Slow Flow, plus John Coleman on the handpans! Perfect for anyone feeling overwhelmed or stressed out by the challenges of day-to-day life. Experience the sacred connection between your body, mind and spirit AND connect with like-minded women at this very special event. Bring a friend for $25! Discover a sense of freedom in your lower back, and learn how some simple Yin Yoga poses can help relieve and even prevent back pain. Includes a two-hour practice, a little theory and a long relaxation. A delicious way to celebrate the arrival of Autumn and the changing of the seasons. If connecting with yourself and your body is a goal for you this year, there's no better way to start than to join Carol for this very special event next week. She will guide you through meditation, dance, a sound bath and more - encouraging curiosity and wonder - to finally enjoy being in your own body and to experience the sacred connection between your body, mind and spirit. Tight hips or hamstrings? Low back pain? Tired legs? Keen runner or cyclist? Feeling restricted in tree pose or forward bends? This Yin Yoga workshop will address these common complaints (and more!). Mark Whitwell is an international teacher with over twenty years' experience teaching throughout the US, Asia, Europe and Australasia. He also contributed to, and edited, T.K.V. Desikachar's book The Heart of Yoga.